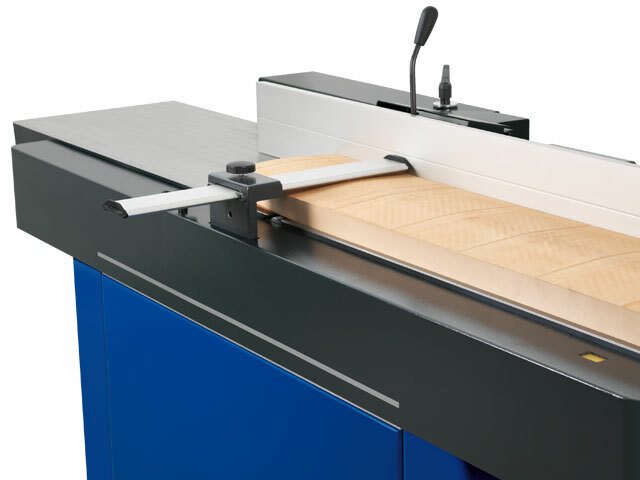 The solid plan 51L planer from the premium brand FORMAT-4 impresses with its new design and above all with the new three metre planing table length. 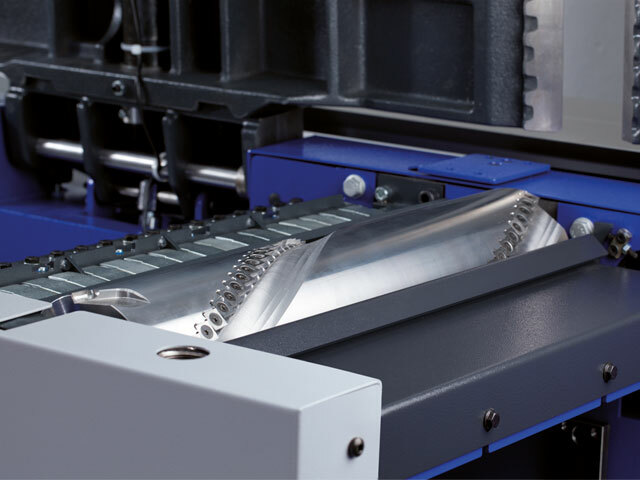 The feeding planer table alone offers 1,650 millimetres of adequate supporting surface for larger dimensioned workpieces. 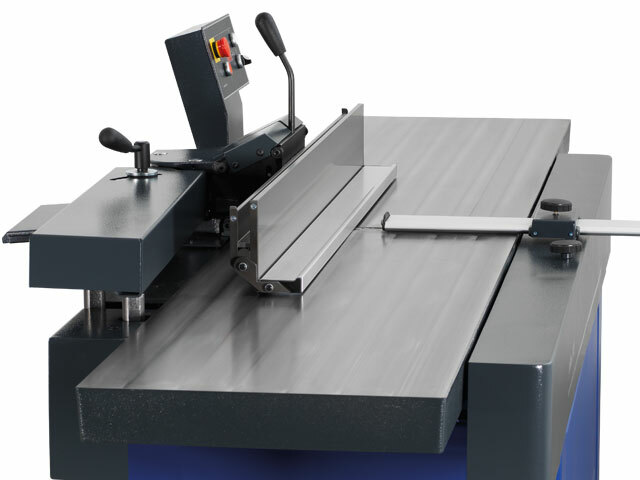 As an absolute highlight, the new plan 51L is the first FORMAT-4 planer that offers a tiltable planing table for concave and convex joint finishing. The space saving design of the planing fence makes it possible to position the planer directly against the workshop wall. 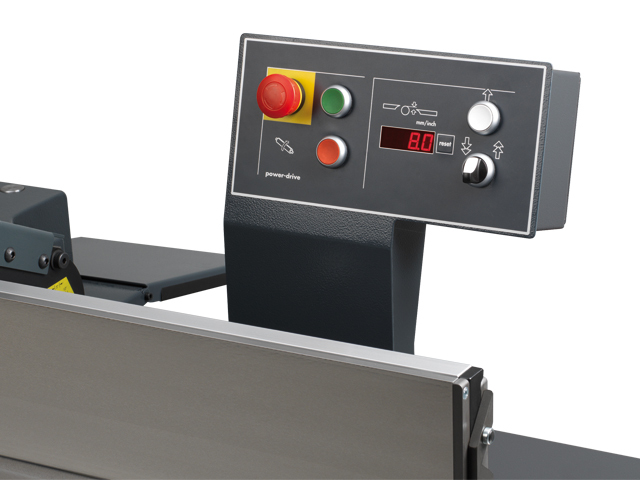 The comfort guard is integrated into the machine chassis and can be folded away which, when coupled, with the counter design of the machine cover panel allows absolute freedom of movement when planing. The Power Drive electrical height adjustment is included as standard and offers operating comfort of the highest level. The ergonomically designed control panel is positioned at eye level. The highlight of the planers are the heavy, solid, ribbed planing tables with a total length of three metres. 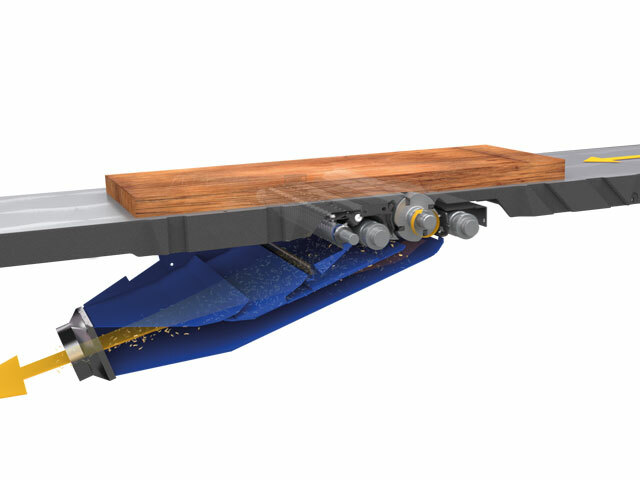 The length of the infeed planing table alone is an impressive 1650 mm and offers a solid support surface even for the biggest of woodworking challenges. Format-4, perfect planing technology-suitable load distribution! See and feel the incredible smooth finish! 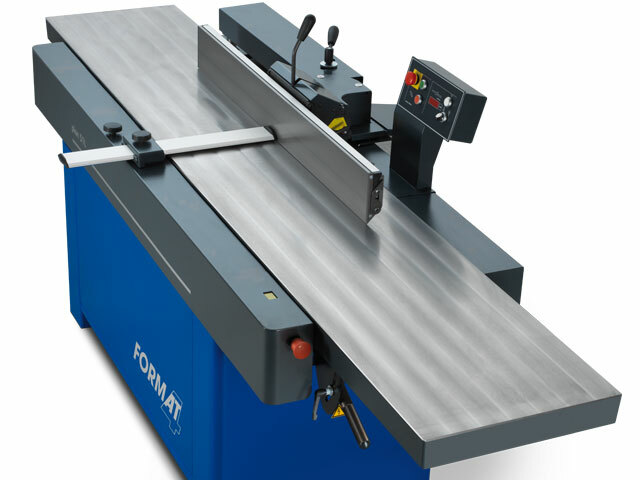 120 mm cutting diameter and the unique Format-4 knife system with reversible blades - for many decades a guarantee for excellent planing results. 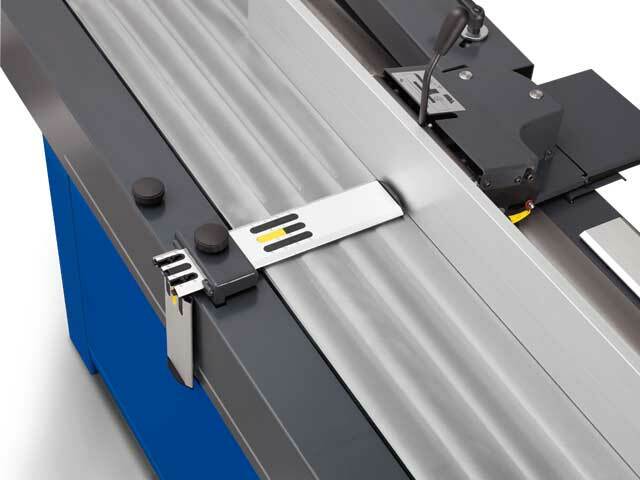 Maximum blade life and minimum cost of the blades ensure considerable savings. 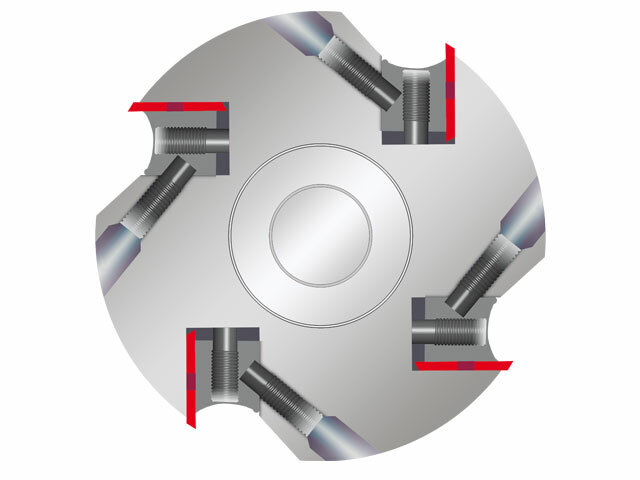 Set the depth of cut at the touch of a button with “Power-Drive”. 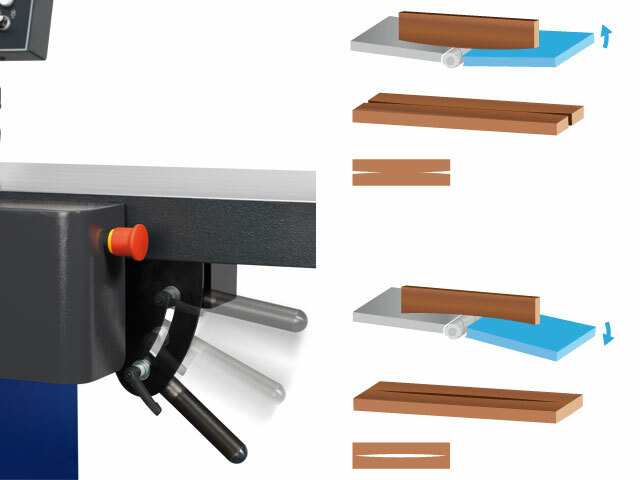 The high-precision planing table adjustment system provides excellent surface planing quality. 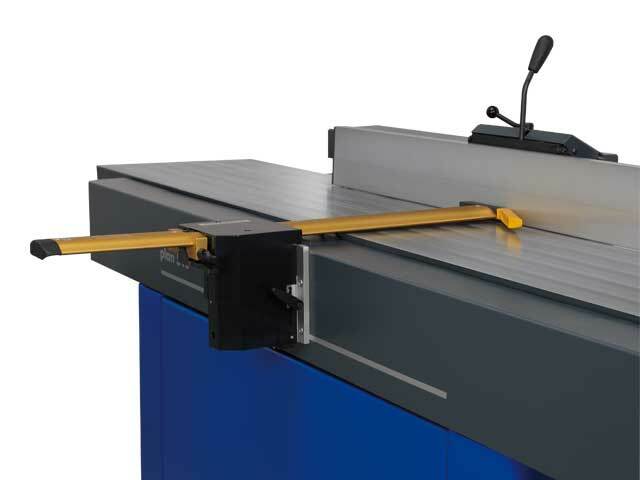 The long, solid cast iron planing tables can be adjusted to a tenth of a millimetre at the touch of a button, using the electromotive “Power-Drive” adjustment which is included as standard and ensures maximum user comfort. The ergonomic control panel is always at eye level. 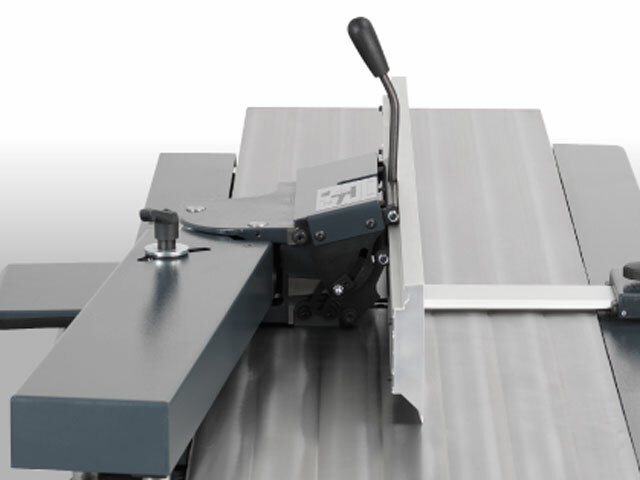 The plan 51L is the first Format-4 planer to offer a tilt setting of the infeed planing table for the production of convex and concave pieces. With the concave or convex planed workpieces you will achieve perfect results when gluing together without any visible joints. A masterpiece of stability, precision and space saving design - the innovative parallelogramm Format-4 planing fence system design allows you to be able to position your machine directly next to the workshop wall, without restricting the planing width. The planer fence can be tilted to any position up to 45 degrees. There is an end stop at both the 90° and 45° positions. When processing thin or narrow workpieces the new tiltable auxiliary fence attached to the planer fence, guarantees a safe and comfortable planing option. Maximum operational safety and an unprecedented ease of use. 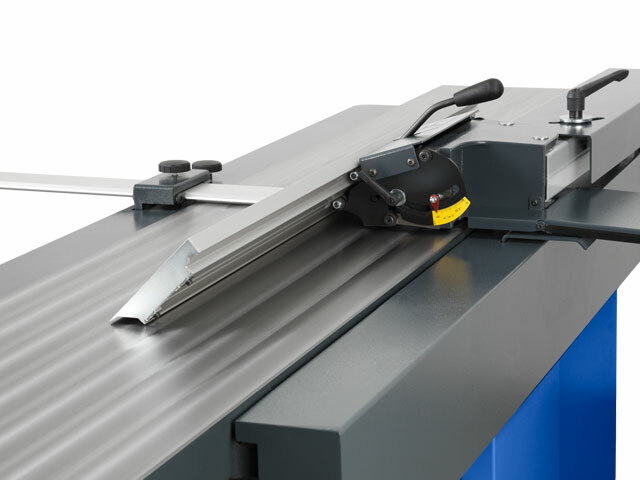 The space saving planer guard integrated into the machine chassis also stabilises the workpiece when planing and bevelling the narrow edge. The EURO comfort planing fence can be folded in two places which offers maximum safety and the highest level of operating comfort for all planing work. 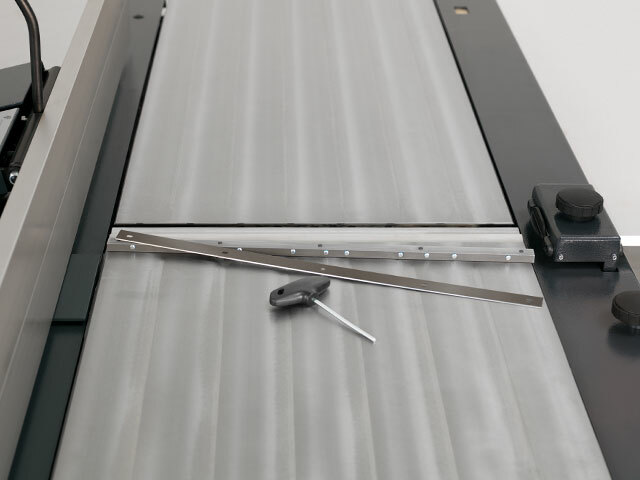 The SUVA planer guard covers the entire planing area and lifts automatically when planing. The perfectly optimised construction of the large dimensioned chip extraction hood always guarantees the best extraction results.